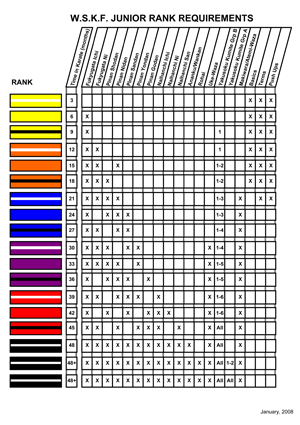 Pre-Junior ranks will usually enter the Junior ranks at age 7; Junior ranks will usually enter the Adult ranks at the age of 16. 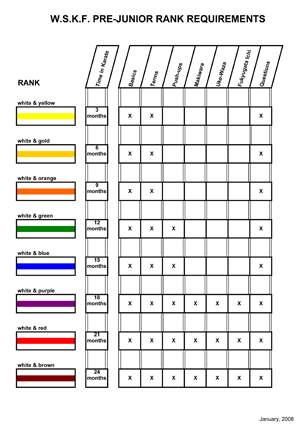 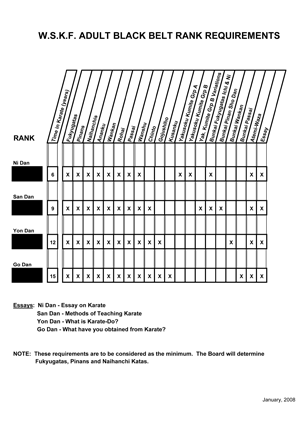 The individual Sensei will determine at what point in the rank structure the Pre-Junior and Junior students will enter based on their abilities and knowledge. 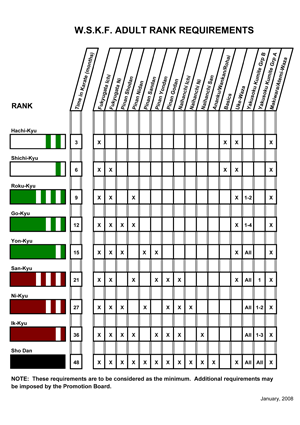 Junior Black Belt students, beginning at age 16, will be eligible to test for Shodan (Adult 1st Degree) when their Sensei determines that they are ready.